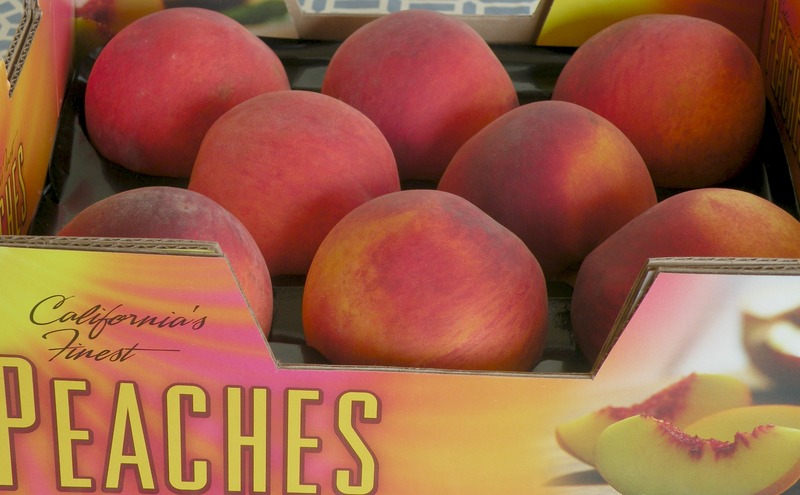 Wondering what to do with those juicy peaches hanging out on the roadside stands, the farmer’s market and in the grocery stores – better yet, maybe you’re lucky enough to have a peach tree in your own backyard! 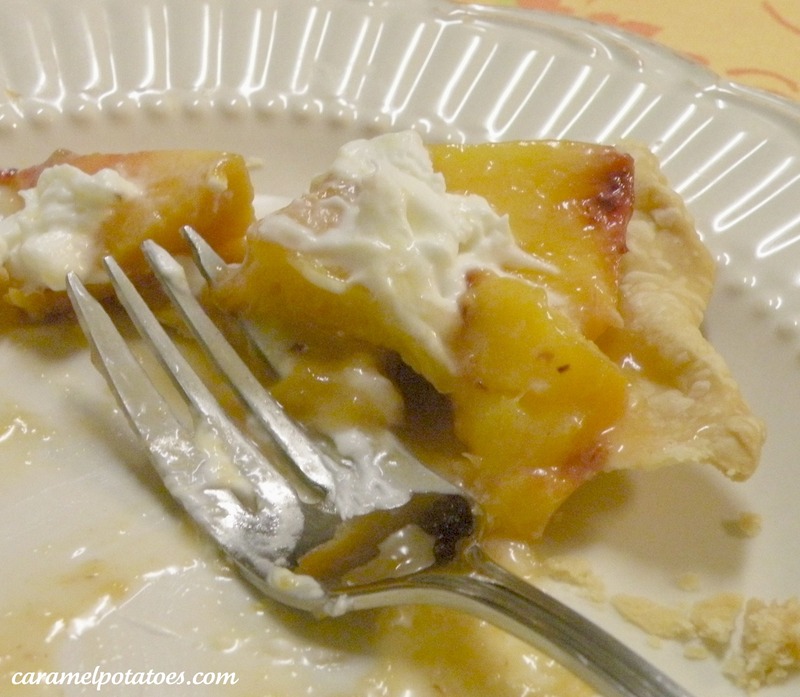 How about a fresh peach pie – literally, the filling is unbaked, so you get that fresh, juicy peach flavor in every bite. 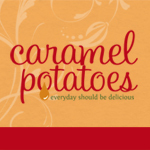 It’s like eating a fresh peach – only better. If peach pie has never been on your favorite list, you might just have to rethink your list after this version! Combine sliced peaches with 1/4 cup of sugar and 1 tablespoon lemon juice. Cover and let stand for 1 hour. Drain peaches and add water to juice to make 1 cup. Mix the cornstarch with remaining 3/4 cup of sugar and blendwith juice in sauce pan. Bring the mixture to a boil and stir constantly until thick. Remove from heat and add butter, salt, and almond extract. Cool slightly then fold into peaches and pour into baked pie shell. Refrigerate until completely chilled (at least 3 hours). For the topping, make sure cream cheese is completely soft and blend it by hand with the powdered sugar until smooth. Set aside. Whip cream until thickened and then add in cream cheese mixture. 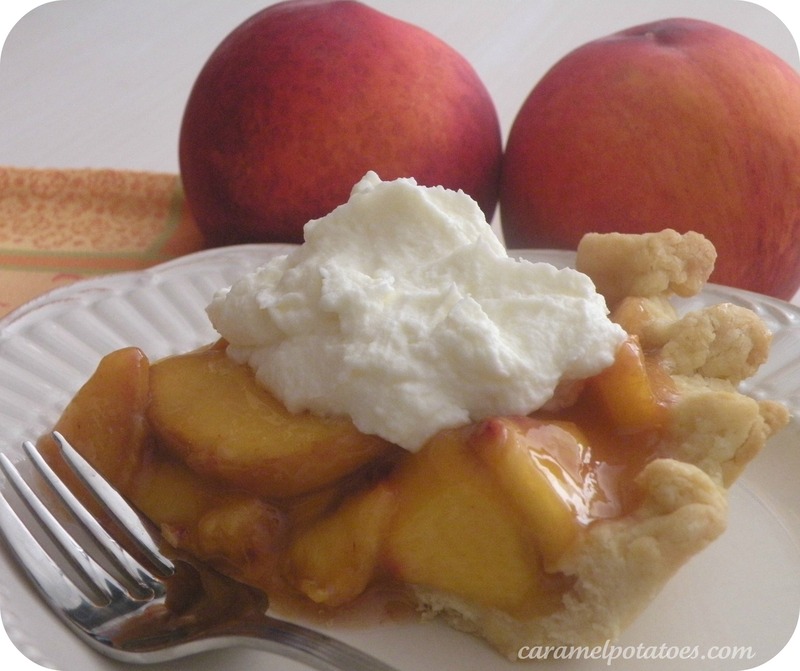 Spread over the peaches, or dollop on top of each slice. Enjoy that fresh peach taste!